Heat the oil in a non-stick frying pan. Fry the pumpernickel and seeds for approx. 10 mins. until crispy, stirring occasionally, season with salt, leave to cool. 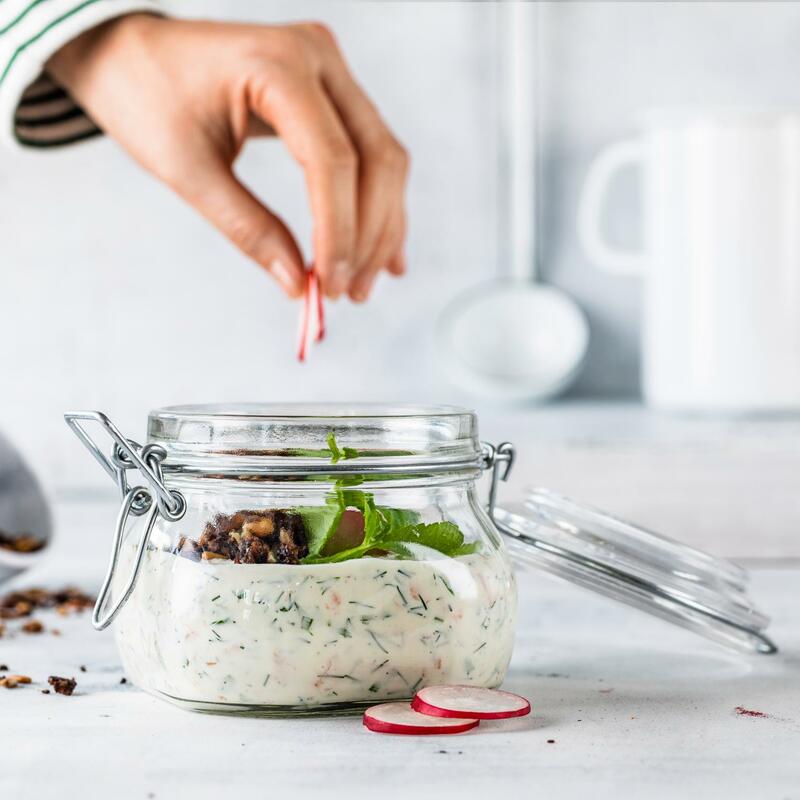 Combine the quark with all of the other ingredients up to and including the salt, stir in the salmon, dill and radish greens, transfer to the jars. Garnish with the radish. Top with the crumble. Prepare the quark approx. half a day in advance, spoon into jars, cover and chill until ready to serve.